How wonderful! The city and state say they will work together, according to today’s curious headline in the Star-Advertiser. On what—what are they up to now? As a general statement, this headline lacks credibility. Mayor Bill de Blasio today announced that the City financed the creation and preservation of more than 17,300 affordable units during calendar year 2014. With 11,185 preserved units and 6,191 new construction units financed, the City exceeded its first year projections by more than 1,300 affordable units. The mayor’s attitude is a healthy one: “We should all be able to call New York home.” Contrast this with the exodus Hawaii is experiencing because the state is becoming increasingly unaffordable to many. To read more or to download your own copy of the New York City plan, click the link above. 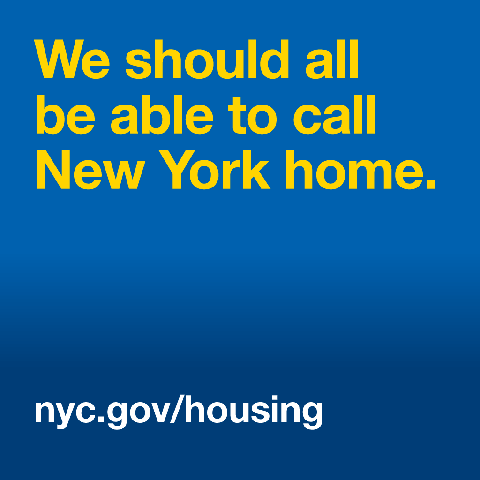 Our affordable housing policies must reach every New Yorker in need, which is why this plan thinks big about the changes we need to make—in government and in the private sector—to make this a city where everyone rises together, and everyone has a safe and decent home. If you're in a community where affordability is disappearing, we want to protect it. If your family lives in a rent-regulated apartment, this plan is focused on helping you keep it. If you're a senior trying to remain in the neighborhood you helped to build, we are fighting to help you stay. If you are a building owner or developer intent on building or preserving affordable apartments, we will support you. The article does not mention “Housing First,” poverty, or the lack of any plans (city or state) to bring truly affordable housing on-line in the numbers needed to remediate homelessness in Honolulu. Contrast Honolulu’s approach with that of New York City, another municipality facing a crisis in homelessness (see sidebar). Safety issues in the area are threatening the future existence of the University of Hawaii's medical school, which is located in Kakaako, said Virginia Hinshaw, former chancellor of the University of Hawaii at Manoa. "We are not lacking in empathy for the homeless, however our patience is exhausted after many years of trying to fix it and watching this problem escalate in Kakaako," Hinshaw said. Tabitha Martin, who has lived in the Kakaako encampment for two years with her husband and three-year-old daughter, said the camp has grown rapidly in recent months since the city began sweeps in other parts of Honolulu as part of its bans on sitting and lying down in Waikiki and other areas. Certainly, the city and/or state could have made facilities available in Kakaako to ease the situation (showers, toilets, etc.) but what the city really wants to do is to scoop everyone up and dump some of them on Sand Island, leaving the rest to wander on their own. So we can expect some band-aid “solutions” such as old city buses turned into shelter for a few, but nothing in terms of solving Honolulu’s chronic affordable housing shortage. The Council members want the state and city to settle jurisdictional issues so that the city “could be more pro-active” in enforcing sidewalk, camping and parking laws in the area, Martin said. The Sand Island site is not designed to house families or the number of people that reside on the sidewalks of Honolulu. So if the city disperses the Kakaako encampment, where will people go? Where but into other neighborhoods. See: Kakaako as an example of economic segregation in Hawaii (7/2/2015). No doubt that would make Dr. Hinshaw very happy. The Mayor and City Council too.